Vaca Key is peaceful. Charming. A welcome retreat from the craziness of the Keys. And we want you to make the most of it. Let us show you around — check out our staff picks for insider tips and recommendations. Head west from the Marlin Bay Yacht Club, and you’ll quickly come across a bridge. Crossing it, though, takes considerably longer; but you’ll want to take your time. 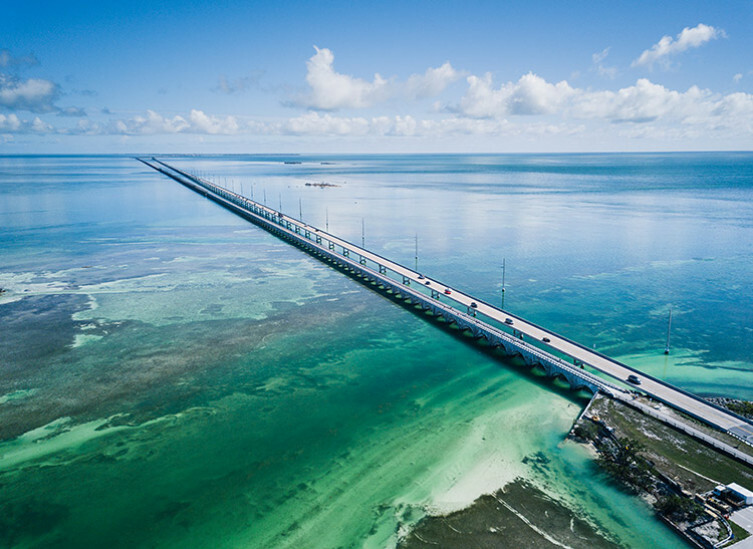 The Seven Mile Bridge is as much a part of Florida as the keys which it spans. Officially opened in 1912, it originally operated as part of Henry Flagler’s Overseas Railroad before making way for a new road bridge in 1982. While it no longer handles the bulk of traffic, the old bridge still stands, easily visible from its newer counterpart. It’s a piece of local history, and holds a special place in Keys culture; it’s withstood numerous hurricanes and has appeared in the “James Bond” and “Fast and Furious” movie franchises. Nowadays, the old structure is open to pedestrians, and once a year, the new bridge closes for the 7 Mile Bridge Run. Regardless of when you visit, be sure to make the trip across; whether you stroll or jog, cycle or drive, it’s bound to be a memorable experience.